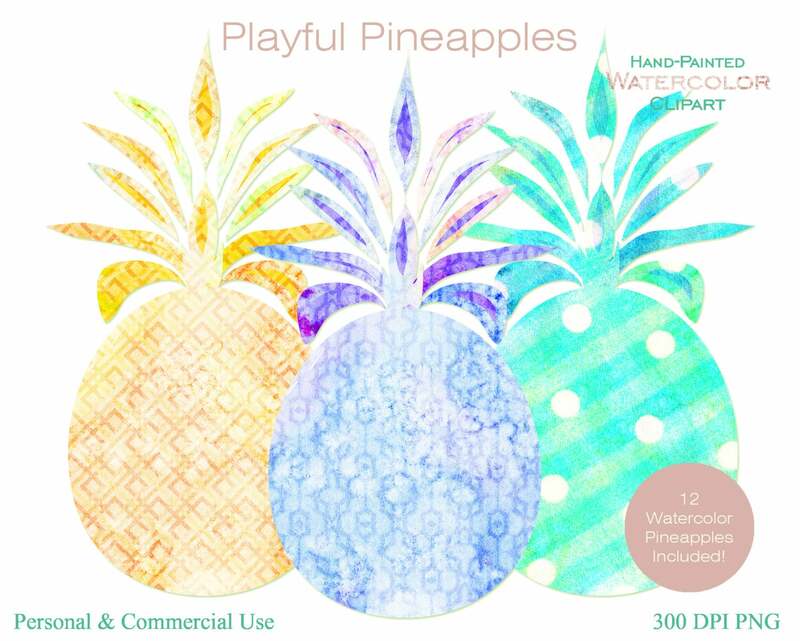 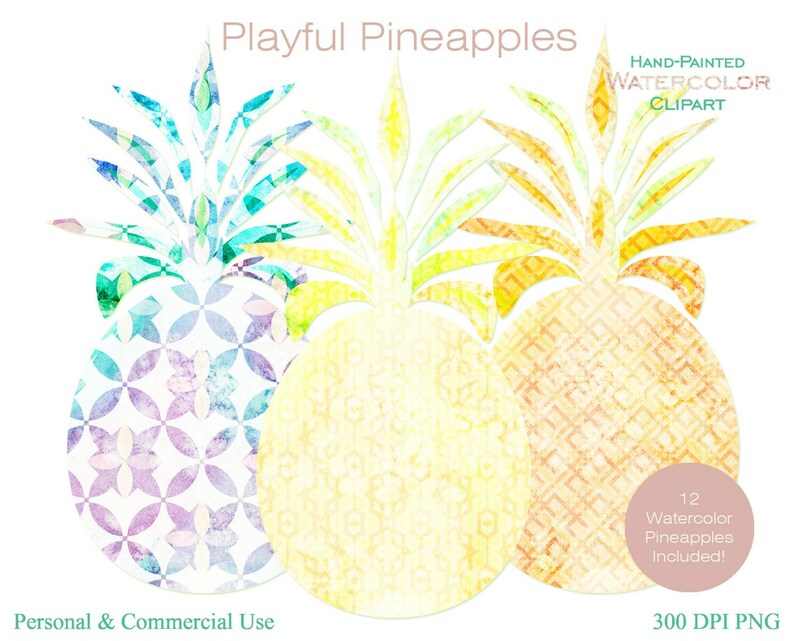 WATERCOLOR FUN PLAYFUL PINEAPPLES - 12 ELEMENTS! 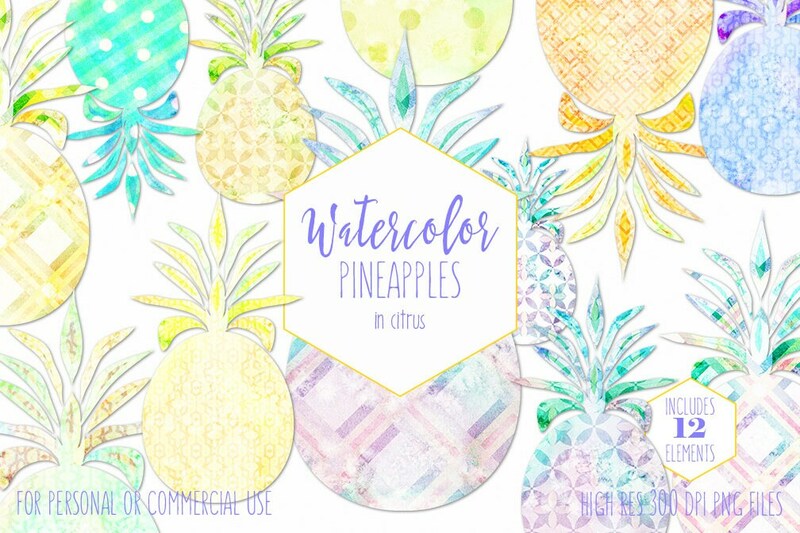 HAND-PAINTED Watercolor Textures & Geometric Overlays! 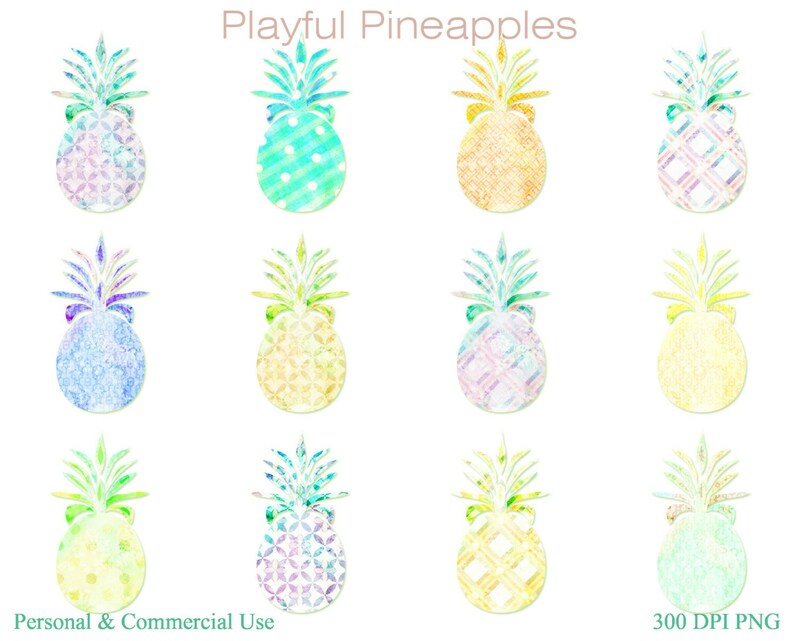 CITRUS, YELLOW, LIME, & GOLDS CLIPART Set- 12 FUN TROPICAL WATERCOLOR PATTERNED PINEAPPLES - ALL Hand-Painted WATERCOLOR TEXTURES PINEAPPLES CLIP ART ILLUSTRATIONS- Have fun creating with this set of WATERCOLOR PINEAPPLES!